What are the SaaS tools a small business should invest in? At the least, small businesses should invest in affordable and powerful SaaS tool for accounting, collaboration, CRM, marketing automation, email marketing, productivity tools, website builder, ecommerce platform and a slew of other tools for unique business processes like training, data analytics and SEO. These tools can greatly increase operational efficiency and sales productivity, two critical factors for growth. SaaS has truly come into its own, with data indicating that around 62% of organizations would be running not just one but more than two SaaS providers by the end of 2019. Meanwhile another research, from Intuit, found that 85% of SMBs plan to invest more in SaaS over the next five years, with more and more running their core CRMs in the cloud each year. You can read our SaaS trends report here, how developments in this industry benefit small business. If your business has not used SaaS software for small business yet, you are most likely selling your business short while most of your competition are taking strides to leap ahead of you. It’s not too late, though, and knowing which SaaS tools your fellow SMBs—and thus competition—prefer to use gives you a good idea where to start yourself. For example, many small businesses are already heavily invested in data and information security to address customer and data safety, customer relationship management that could handle even a million contract populated by deep insight that is not possible with traditional computing, marketing software to generate more interest and capture more leads, and HR software to handle both hiring, evaluation, and on-boarding in one powerful suite. Also consider that generally, on-premise deployments require greater upfront investment, especially compared to a SaaS subscription model. The main reason for this is installing costly hardware on-site. On-premises models typically require ongoing expenditure including maintenance, upgrades, support fees and license fees. However, with SaaS model, you avoid additional charges for upgrades, hardware and administration and license fees are typically bundled into the monthly subscription. There’s no hardware to install or maintain, you simply log in and go. SaaS will sometimes include additional charges if you require more storage, industry-specific functionality or premium support packages. So, with all costs considered, what is SaaS to small business also boils down to having a cost-effective option to automate processes for both short term and the long term. 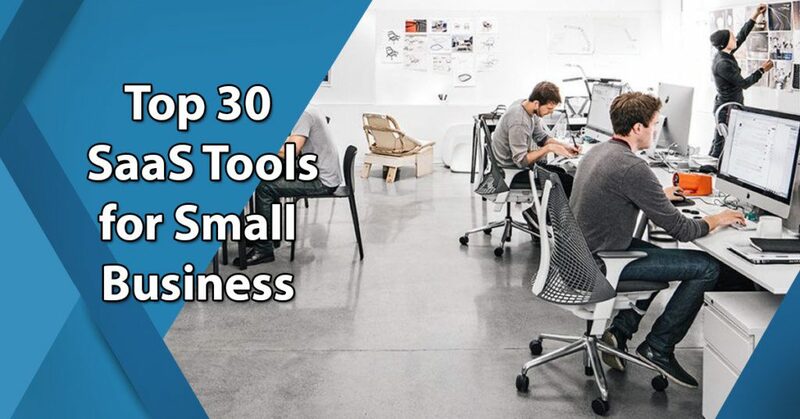 With this list of 30 SaaS tools for small business, you should be able to make decisions about which SaaS tools to buy, but also outstanding examples from among their categories for small businesses. What are the top 30 SaaS tools for small business? The first category in our list of 30 SaaS tools for small business is ultimately about money. Planning, budgeting, forecasting with all the attendant core accounting, project management, billing and invoicing and time tracking should all matter to your small business and then some if you’re looking to level up ahead. A leading SaaS solution for your finance and accounting needs should let you ease through the pain by tracking due dates and following up late payments without distressing you and the erring party. Accounting software platforms automate financial management and help managers handle their accounting activities. They help reduce expenses and report accurately on your financial activities, and improve the quality of your accounting decisions. Aside from monitoring your credit card and bank accounts, Freshbooks wields control of little unaccounted expenses that siphons a sizable chunk of your funds over time. After capturing photos of the receipts of these minuscule expenses, for example, the accounting tool Freshbooks will log and consolidate them for each employee. At the end of the day you know which little holes are bleeding your company and do something to plug them in. If you run a small business with hardly any accounting background, Freshbooks’ intuitive design will especially appeal to you: it simply automates calculations and processes, letting you run in-depth reports and look into financial patterns—almost turning you into an instant pro. The vendor offers a comprehensive free trial to get you up to speed with the features. You can sign up for the FreshBooks free trial here. Price-friendly for small business. Starting at $15 per month per user for the Lite Plan, you get to bill up to five active clients. The Plus version at $25 upgrades to 50 active clients, while the Premium enables you to bill up to 500 active clients. Feature-packed for the price. From the start, Freshbooks is hailed as an easy, intuitive, and non-accountant friendly finance management app, and this hard-earned reputation continues today. FreshBooks is a straightforward accounting app offering automated maintenance and upgrades, with the core accounting function blazingly fast. These features have made FreshBooks a permanent asset of more than 5 millions of users around the globe. Brilliant reporting. You want insights, especially when it comes to money at the heart of your business. Entering data in a spreadsheet is time-consuming and error-prone. FreshBooks is a much better alternative as it enables you to generate financial reports by simply processing data already entered. You can easily generate a profit and loss report with just a few clicks. You can also create an expense report to track monthly costs and monitor your balance sheet in real time. Handling taxation issues is likewise simple. You can easily filter your accounts records and generate accurate tax reports and tax summaries. These reports can be then exported to a CSV file or other popular formats for sharing with a tax adviser or accountant. Collaboration tool Monday.com is a transparent collaboration program sporting critical features in a compact yet easy to use package. Monday.com’s Board concept is a highly flexible and capable tool that provides in-depth insights on your projects or tasks, or even the complete company’s performance if it comes to that. In particular, the main Board lists all projects and tasks together, connecting them to the team members in charge. A third party can be made external partner or project beneficiary: even without a Monday.com account, they could be invited to follow with special alerts and notifications. They can be handed any number of select competences depending on their role, including the capability to approve or dismiss a project without being permanent users of the system. Monday.com makes it possible to monitor the performance of teams and individuals, and saves managers enough time to devote to more important operations. If you want to know more about the features you can easily sign up for a Monday.com free trial here. Manage everything in a single board. A board is the place you track everything your team is working on. With it you can instantly see who’s working on what and where things stand, easily add tasks, projects, missions, and to-dos. You can easily assign teammates to specific tasks or projects, see the exact status of where things stand and plan your workload over time. Communicate with your team in context. Quickly add rows to your board—what Monday calls pulses. They keep all communication in one place, reducing the need for meetings and painfully long email threads. Keep your clients in the loop. Invite your clients to work as guests and share your progress with them. It’s an invaluable way to make them feel involved and reduce the number of emails, meetings, and phone calls. HR software tools streamline human resource management, in particular operations like recruitment, screening, hiring, and evaluation. HR software is used by HR agencies and departments looking for talented and reliable performers, and offers an array of specific modules such as payroll management, time and expense tracking, attendance, and benefits management. There are also specialized programs that offer features such as fingerprint ID, self-service learning portals, and smart reporting. More than other types of business, small businesses need the best people at the quickest time possible to screen and onboard them. For your essential HR software needs, BambooHR provides personnel data modules, tracking, and advanced reporting capabilities. The system utilizes a stripped-down mechanism to follow performance, which makes it a good choice for growing your small business. It covers remote and decentralized teams with flawlessly performing apps for all operational systems. For applicant tracking, BambooHR displays job openings in a separate tab, where you get to see all applications, applicant leads, and select or eliminate applications as they arrive. Likewise, you can add new job openings with such relevant details as salary, title, duration, contract type, etc. You can do this via a filtered drop-down menu or the system’s special text editor to add a longer description. Once you have the list ready and completed, you can share it on all social networks or popular job boards to properly launch your applicant search. For freshly hired employees, BambooHR sends a special email containing training information, along with access to all system files and corporate documents that may be relevant to them. If you want to investigate the features closely you can easily do so when you sign up for a BambooHR free trial here. Works with your budget. BambooHR carefully considers the needs of each client individually, thus their quote-based pricing scheme. This is the company’s strategy for getting to know clients and establishing connections, and making sure you get what you’re paying for. The first thing you would be asked by them is how large your team is, and what you expect from the perfect HR systems, so that they would bundle all essential functions in a package you can afford. Basically, they are making the effort of wrapping special offers on daily basis, which is a rare practice in the SMB software industry. Powerful applicant tracking. At the onset, you can use BambooHR to prepare a decent job announcement covering details such as contract types, vacation programs, and salary increases. For that, it features a robust text editor to describe the obligations related to the position. Once ready, the vacancy can be distributed on all social networks and popular job boards to expand your reach. Capable onboarding for new hires. As a comprehensive HR tool, BambooHR smoothly guides novice players on board. You will notice that it emphasizes the manager’s capacity to make onboarding easy rather than evaluating the employee’s willingness to fit into his team. With BambooHR, an approved applicant obtains full membership right away, giving him full access to participate in all relevant discussions. We have included Business Intelligence Software (or BI software) on our list of 30 SaaS tools for small business because these tools have become affordable even for companies with limited budgets. BI software is a class of computer applications that process and analyze corporate data to produce quality insights and help you understand the health of your business. BI software uses a variety of formulas and metrics to measure, compare, and relate business indicators, and makes it possible to distinguish the strengths and weaknesses of every company. The main functions of these systems are data discovery, data management, and reporting, but some of them also evaluate functionality and employees’ performance. Business intelligence with its array of actionable insights you get from huge volumes of data used to be capital intensive, but cloud computing has since leveled the playing field for small businesses. Cloud BI like Sisense offers affordable price plans that fit a small business budget. More importantly, these and Sisense offer a scalable option for fast-growing startups. A small business is never limited with what it is using now, as it can add more features and capabilities to match its growing needs. Sisense, in fact, has a huge customer base of boutique marketing agencies, startups small companies and nonprofits. In fact, Sisense tops our business intelligence comparison of the ten leading solutions in this niche. Sisense’s drag-and drop interface makes it simple to combine big sets of data. It also lets you use a variety of visualization options such as location charts, plot charts, etc. to interpret data. Its Single-Stack system allows you to do multiple tasks from data integration to visualization in a single BI platform. This means you do not have to use star schemas, OLAP cubes, and data warehouses to manage complex calculations and data modeling. Business intelligence solution Sisense offers integration and built-in connectors which allows you to easily integrate source files from applications such as Excel and Google Adwords, CRM reports from Salesforce and Zendesk, and data from a range of popular apps. Sisense uses proprietary technologies to allow even lay users to use the platform. But make no mistake: this app offers robust BI features. Underneath the user interface is the powerful In-Chip engine that makes data preparation simple and fast. It allows you to make various queries and get fast answers without needing to apply data rules for each query. To optimize CPU performance, the data is prepared only when a query is made. This means Sisense is adaptable to commodity server infrastructure and you do not have to invest in high-end servers. You can check the solution closely when you sign up for a Sisense free trial here. Full range of business analytics for small business. Sisense is agile and fast in giving insights. You don’t require multiple tools such as manual mashups or special scripts to run queries and gain insights. Sisense is a single platform that manages the entire BI workflow. It quickly processes raw data from multiple sources. You can speedily add new data such as tables without needing to sort or summarize them in advance. Simply integrate new supplier data or campaign metrics into Sisense to perform sales forecast analytics. Cost efficiency. Entrepreneurs can run the numbers with a Sisense and clearly see where money is being spent. This includes payroll, supplies and maintenance. More importantly, they can see which one is bleeding the most cash and where they can cut corners and create savings to minimize the burn rate. Value from the get-go. Sisense does not ask you have to have extensive technical background to produce rich and intelligent analysis: its robust visual reports will get you there without going through the hassle of preparation. Business intelligence is nothing without collaboration and Sisense allows you to easily share your insights with your team, partners and clients. Time tracking software helps you manage complicated projects effortlessly and on time. You can use it to create helpful targets and deadlines according to the info you enter in the system—or link interdependent assignments and tasks to view the complete picture and to ensure your company’s business units balance and not contradict their deliverables. It lets you anticipate issues and situations beforehand and modify your procedures and resources to meet positive as well as negative scenarios as they arise. Clarizen combines essential project management and social collaboration features to help you execute projects within deadlines. The cloud-powered tool is easy to use and fast to deploy. Clarizen provides a well-defined work structure connecting tasks, projects, and conversations. It prioritizes budgets, projects, resources, portfolios, and tasks, and makes sure that critical information and resources are always handled appropriately. An appealing test drive of all software features is available to you when you sign up for a Clarizen free trial here. Powerful monitoring. Clarizen can help you discover stepping stones and stumbling blocks on time, mostly because it compares information in critical moments, and gives you the chance to generate ad hoc reports on any occurrence that seems somehow suspicious. Effective and Result-Orientated Collaboration. Clarizen is a leader when it comes to work collaboration and project management needs that tap the power of the cloud to finish work effectively, efficiently, and with better results. Its enterprise collaboration features connect social context with tasks and projects to result in increased productivity and profitability. Easy administration. All modules are displayed on a single navigation bar, and the user is able to choose between 6 different views and a variety of project templates. The ability to add notes and to search for those is another powerful feature, convenient when importing data from Microsoft Projects, for example. Website builder software enables you to construct websites without manual code editing. Some SaaS vendors let the site owner to install alternative commercial or open source tools. Complex solutions of this type are also called Content Management Systems. Fully powered and stunning websites to sell items might seem like a proposition for multinational enterprises, yet Wix readily provides those with ample to spare at prices your small business will love. Unless you’re a techie selling techie things, chances are you are running your small business from the standpoint of a non-coding, non-technical person. It will not really matter with Wix, as its powerful editor and wealth of gorgeous templates will let you present a finished website as if it were commissioned by a pro. When you have finished with the aesthetic side of your online store, your next concern, to adequately feature the qualities of your products, provide technical details about size and color, barcodes, or shipping information are also fully covered by Wix. You will have access to online booking integration, multiple payment processing options, and invoices to close your transactions efficiently. You will want to compete in social media spaces like most do these days, and Wix lets you do just that, along with ways to conduct social advertising and chat functionality. There’s a handy automatic notification feature, so you don’t miss an important message or online store transaction that needs your attention. If you want to know more about the features you can easily sign up for a Wix free trial here. SMB-Friendly. Wix built its name around site owners and SMBs interested in building beautiful web hubs without spending a fortune. All essential features are available for free and the creation process requires no coding or technical skills to put a website into action. All it takes is to choose the elements you want to change and to drag and drop your items on one of the gorgeous 100+ designer-made templates. Solid Hosting for Small Business Website. A landing page is only as good as the features that support it. Wix will not only let you create a beautiful website for your small business, but it will also provide suitable domain names for free. You can also count on their SEO-optimized, secure, and reliable hosting services; manage and track the performance of your website all from a single dashboard. ecommerce Module. Online retailers can subscribe to Wix’s ecommerce module and create an engaging e-store for their products. The platform supplies them three types of product catalogs and custom checkout pages, and puts in place shopping cart functionalities to improve buyers’ experience. For your local small business, marketing platform HubSpot Marketing offers automation that gives you powerful capabilities beyond traditional email marketing: it allows you to design your own workflows, prepare, format, and publish content, and seamlessly integrate contact profiles and information so you’ll have the most effective campaigns. It takes but a short time to familiarize with its working environment to make you effortlessly segment, nurture, and evaluate leads in a more personalized way. As a valuable investment for the growth of your business, you’ll appreciate HubSpot Marketing’s land page builder—a no-brainer, drag-and-drop tool that requires no coding skills to create beautiful websites. You can use the system’s keyword tools and SEO optimization to distribute nothing but the best content, and manage the way how leads interact with it from a single, dynamic dashboard. The focus on personalization makes it possible to remove HubSpot’s branding and use your own instead, so that customers will know who they’re dealing with from the very first moment. It’s the same customization and configuration options you’ll find in the company’s equally famous Sales and CRM modules—which, incidentally, you could seamlessly integrate with HubSpot Marketing as others usually do who see all the advantages of a common, unified platform ecosystem from the same vendor. An appealing test drive of all software features is available to you when you sign up for a HubSpot Marketing free trial here. You can also review our marketing software rankings to gauge this software versus its competitors. Pricing that lets you grow your business. With the basic contact database giving traffic and conversion analytics available absolutely for free, HubSpot Marketing instantly sets you a step ahead of the competition. The paid plans—$50 for the Starter Package and $2,400 for enterprises interested to manage more than 10,000 contacts—gives you ample room to grow your small business with HubSpot as the unified solution for your sales department. A taste of automated, personalized marketing. HubSpot’s marketing automation goes beyond traditional email marketing: it allows users to design their own workflows, prepare, format, and publish content, and seamlessly integrate contact profiles and information to make the most of their campaigns. HubSpot Marketing makes it possible to work in a familiar environment and segment, nurture, and evaluate leads in a more personalized way. Optimized content for smarter targeting. With its smart land page builder—a no-brainer, drag-and-drop tool that requires no coding skills to create beautiful websites, HubSpot Marketing presents a compelling investment for small businesses and startup teams. You can use the system’s keyword tools and SEO optimization to distribute nothing but the best content, and manage the way how leads interact with it from a single, dynamic dashboard. The focus on personalization makes it possible to remove HubSpot’s branding and use your own instead, so that customers will know who they’re dealing with from the very first moment. Sales Software is a suite of ecommerce applications used to standardize companies’ selling processes and sales-specific activities, in particular lead-to-close and lead-to-conversion processes. Most sales applications can also be used to process sales data, evaluate performance, manage inventory, or run an online store. Sales software makes it easy to measure key metrics, including conversion and bounce rates, win-loss ratios, and sales cycle. You have plenty of options in this category, keep in mind though to get a sales software demo prior to subscribing to a plan. No matter the industry type of your small business, sales solution HubSpot Sales helps you sell more in less time and build and automate sales processes that are specific for your business. It is very flexible and easy to customize and, following the route of other HubSpot products, this sales bundle is code-free and simple enough to be used even by inexperienced agents. HubSpot Sales comes to the fore when you need to standardize your retail processes and retail-specific activities, in particular lead-to-quote and lead-to-conversion processes. It enables you to process sales data, evaluate performance, manage inventory, or run an online store. For advanced functions, you can use it to measure key metrics, including conversion and bounce rates, win-loss ratios, and lead times. HubSpot Sales gives is all about affordable pricing scheme, among which is a free plan for small businesses and startup companies. It leaves you with a lot of elbow room as you grow and see a need to upgrade to a paid plan of $50/user/month, which covers the full suite of advanced sales and marketing features. And of course HubSpot Sales is a member of large and well-known productivity software family, allowing you to purchase it either independently or within a CRM + Marketing Growth Stack. Note that the company’s CRM solution, also covered here, is available for free. You can use all the features for free for a period of time to see if the software matches your needs. Simply sign up for a HubSpot Sales free trial here. Automated and personalized outreach. As with its sibling HubSpot Marketing, HubSpot Sales hangs a premium on personalization and automation. In the case of HubSpot Sales, it can help your agents close more deals and boost your revenue in noticeably less time compared to traditional sales software. It lets you automate outreach, and queue up a sequence of personalized emails without risking to communicate with leads in an impersonal way. All due reminders are delivered automatically, including those sent to you whenever a prospect performs the desired action—from opening an email, clicking on a link, and so on. Propel leads your way. HubSpot Sales will not only help you manage existent deals, but also drive interest your way. You will have the clear picture of where to promote your products or services, and who’d be most interested in them. This information derives from monitoring who’s visiting and what they’re looking for, so that no prospective buyer would vanish without trace through the cracks. Build strong customer relationships. Use HubSpot Sales to create your own personalized email templates and harness the most repetitive among them to measure performance. The platform makes it possible to add meeting links to each email, so that your customers wouldn’t miss your calls or fail to open your emails, but rather contact you in a time that is most suitable for them. Project Management Software programs facilitate project delivery and make it more efficient. They let you set more realistic milestones and deadlines, tie up and automate interdependent assignments, and keep all of your team’s members focused on your deliverables. Project management software usually offers visual tools such as Gantt Charts and time and resource tracking tools. One of the defining features of SaaS tools is how they all seek to get disparate man and machines to work together as a smooth, well-oiled composite unit for any objective and challenge facing all kinds of projects, often the lifeblood of a business. A regular recipient of our top SaaS solution awards, Wrike is a Software-as-a-Service project management solution that improves the speed and efficiency of work in both co-located and distributed groups. You can also check our other project management reviews, but you will realize the project management tool Wrike is for most the leading work management solution for any type of business teams. The multiple award-winning platform gives your business crucial real-time project insights. As your business project hub, Wrike enables users to discuss tasks and ideas quickly, track schedules, and securely store files. The flexibility provided by collaboration management tool Wrike enables multifunctional groups to put their heads together and get things done effectively from a single location. The service allows you to schedule, prioritize, discuss, and keep track of both work and progress in real time—all with just a few clicks of the mouse. The vendor has an appealing free trial where you can tinker with the features at no cost. You can sign up for the Wrike free trial here. Visual Timelines. To help you manage your schedule properly, the Wrike shows you how the different parts fit in the overall picture and where deadlines occur. This visual provides a clear overview of the overall timeline, assigned tasks, and project milestones at a glance. In short, visual timelines gives you a way to visualize projects better and at a glance. Resource Management. You should be keenly on target when it comes to your small business resources, and Wrike easily lets you view which team members or resources are available for a project. It gives everyone visibility of team members’ workloads as well as booked and available resources. In short, when workload multiplies, Wrike gives you a powerful system to be on top of how resources are properly handled. Seamless Communication. Project teams need a simple system to discuss and make collaboration work. Email simply don’t cut it anymore; it’s just not suitable for this task as it is laborious and inefficient. Wrike enables your team to have discussions in the same system where the actual work and the creative files reside. Team members can provide their feedback and views on the latest press release, a recently uploaded design mockup, or even ideas for a holiday party, and easily engage their colleagues to learn about their ideas. Customer Relationship Management software (CRM) refers to applications that help businesses build strong relationships with their customers, boost conversations, and improve revenue rates based on customer data coming from multiple interaction channels (phone calls, website visits, social interactions, and so on). Companies use them to process and analyze customer information, make use of disconnected data to depict opportunities, create sales funnels, and carry out loyalty campaigns. The biggest benefit of CRM software tools is that they allow you to categorize customers according to their expectations, and devote attention to prospective buyers. Speaking of free forever, the highly rated CRM platform HubSpot CRM is one robust free CRM apps and it flaunts this advantage over the competition. If your small business has straightforward inbound marketing needs–you send out campaign, get leads, sort prospects and drive them down the funnel–HubSpot’s offer is simply hard to resist. Customer relationship management is a key tool in getting leads for your company and increasing your bottom line. But there’s more to CRM than just closing deals. CRM has become a management strategy that very often will ensure a steady growth of your small business. It allows you to consolidate sales data and get insights that can be used to make your business processes more cost-efficient. For no cost at all, you get a CRM solution built to enable sales teams to quickly get started without system-shattering shifts in their existing workflows. If you are only starting a CRM system or looking to optimize your current CRM, your best option probably lies in HubSpot. Since there is no cost involved to start using the software, you can easily get HubSpot CRM running without need to talk to their sales team. The application is smart and easy to use, and brings with it all essential features suitable for beginners and mid-market companies in whatever niche or industry. It does away with the hassles of CRM implementation and can facilitate various tasks such as creating contact and company profiles, assigning of deals, tracking of company activities, managing agent performance, monitoring key metrics, as well as maximizing inbound sales techniques, among others. The vendor has an appealing free trial where you can tinker with the features at no cost. You can sign up for the HubSpot CRM free trial here. The engine that drives your marketing and sales with insights. HubSpot CRM constantly looks for ways to push your contacts into the sales funnel, staying active feeding the sales or marketing people with insights gleaned from multiple elements of your accumulated contact database, from tracking customer interactions automatically, providing valuable information out of customer behavior—crucial information that ensures your sales funnel looks good from the bottom. Stay on top of your sales pipeline. Once you have generated a lead funnel, HubSpot CRM gives you quick visuals of your entire sales pipeline on a clean intuitive dashboard. You can sort deals won and lost, appointments scheduled, contracts sent over any time period, and track performance against quotas you set. You can order deals by name, owner, amount, or stage with custom filters for actionable intel in a fraction of the time. Make the most of unlimited customization. Most CRMs have annoying customization limits, but HubSpot lets you customize everything to your brand and your specific sales process. Customer experience management software (CEM) assists a company to track and organize all interactions with their clients throughout the customer lifecycle. The solution helps to optimize client interactions and build their loyalty. To manage the customer experience, companies need to devise strategies that encompass all customer interactions. CEM software offers businesses an all-round view of customers with integrated, up-to-date data on their accounts and profiles. Customer experiences include interactions through conventional channels such as live chat, phone calls, and website purchases as well as text and social media. If your small business is mired in cut-throat competition, your best option to get ahead of the pack is to provide a satisfactory customer experience. To do that, you can invest in a quality customer experience management software solution like Yotpo. The platform makes it easy to collect customer feedback and getting insights from them, including whether your customers are satisfied or dissatisfied and the reasons behind it. You can analyze customer data and understand their behaviors. Yotpo lets you collect feedback from multiple channels including website, in-store, email, mobile app and others. Yotpo provides SEO, marketing, review generation, retention, and social media ads functionalities. You can utilize these tools to significantly boost your ad-ROI and keep track of social advertising trends especially on Instagram. The product generates reviews effortlessly as customers can utilize mobile responsive apps and in-mail forms to rate your product or service. Yotpo uses smart algorithms to display the right products to the appropriate people to get the best possible reviews. The interface is intuitive and user-friendly, so you don’t need coding skills to maximize the platform’s potential. If you want to investigate the features closely you can easily do so when you sign up for a Yotpo free demo here. Stand out on search and social media. Yotpo helps you acquire high-intent traffic through its partnerships with Google, Facebook and Instagram. You can display user-generated content (UGC) in social, paid, and organic search results, and build high-converting ads instantly. Increase sales with social proof. Yotpo lets you display reviews, ratings, Q&A, and photos at key conversion points across your website. Showcase your customer content along the buyer journey in customizable on-site displays. Understand feedback at scale. Yotpo helps you make better decisions by understanding customer feedback at scale. You can spot opportunities to improve customer experience by using AI to break down reviews into actionable insights. Survey software is used to collect feedback from a select group of respondents. Companies use survey software to collect comments from their clients, buyers, and employees. They employ this data to analyze things such as customer satisfaction, employee morale, etc. This software can be used to evaluate employee and client satisfaction, enhance customer loyalty, and gather feedback on products and services. Companies can apply survey software through email, embedded widgets, mobile and social networks and more. Survey software is similar to enterprise feedback software which is used by businesses to gather information for high-level evaluation. However, survey software is less expensive and easier to use compared to enterprise feedback software which offers greater customization and reporting features. and drive the next activities of their businesses in order to increase revenues and market share in their specific industries. Powered by a brilliant algorithm and state-of-the-art predictive intelligence engine called iQ, Qualtrics Research Core provides intuitive, beautiful and complex surveys to serve any business needs: from tracking consumer behavior across diverse segments, benchmarking your company against competition, conducting complex academic research, to advertising and product testing. You can’t go wrong with the most trusted research platform in the world with over 9,000 brands and 99 of the top 100 business schools using Qualtrics to make the most critical decisions. You can check the solution closely when you sign up for a Qualtrics Research Core free trial here. Powerful market research made accessible. Even for an expert, market research is never an easy task. With Qualtrics Research Core’s Stats IQ, you can decipher data, identify trends, and produce predictive models without the need to spend time in SPSS or Excel. This feature will guide you in identifying the strongest statistical relationships and translate the results in layman’s terms, so you can put them into action right away. Optimize your marketing campaigns. Ensuring the effectivity of your marketing strategies, Qualtrics Research Core eliminates the guesswork from the planning process using its Driver IQ function. Providing you with real-time data on your customers’ experiences, this tool will automatically correlate this information to prioritize the key drivers of your business. It can also predict the actions that will reap the best possible business impact to help you optimize your campaigns. Access multiple channels. You can obtain crucial information on your business from various places, so it’s best to tap your audience on all possible platforms. Qualtrics can support multiple distribution channels—be it emails, SMS, mobile sites, social media, or IVR, you can embed your surveys wherever you desire. You may even opt to direct people to your surveys using QR codes. Customer Support Software features cover all applications and bulletin board systems companies use to answer questions and deal with queries and complaints quickly and effectively. Common features include help desk functionality, ticketing & points of contact, CRM, and contact management, while advanced systems also offer lead extraction, registration mechanisms, and tutorial builders. At its heart, your online customer support tool should help you deal with queries and complaints promptly and effectively. Among other essential functions, it should give you help desk functionality, ticketing and points of contact, CRM, and contact management. Better yet, it could also include some advanced capabilities like lead extraction, registration mechanisms, and tutorial builders. While your specific requirements may not include all these, you will find they’re great options to have once your small business grows to require those functions. Aside from being very easy to use, customer support solution Freshdesk offers an excellent support tool for your small business. It gives you multichannel capability including Live Chat, integrated game mechanics to increase agent productivity, multiple SLA policies, smart automations and self-service portals—on top of the standard help desk ticketing, knowledge base, and community platform. Freshdesk will turn your support emails into tickets that you can track for rapid and accurate response, while giving you the flexibility to link forum questions to a ticket and vice-versa so you can create better sets of answers and replies. Freshdesk empowers your social media engagements: with it, you can quickly track down customer posts about your product in social media and address issues that can escalate, or build on opportunities to promote your product. Put simply, it gives your support team maximum visibility across those social channels that matter to your business. You can easily sign up for a Freshdesk free trial here and get to know the features firsthand at no cost and without commitment. Manage customer queries efficiently: Freshdesk lets you see all queries fast and identify the right type of response for each query. No matter which channel customers use, all support queries are converted into tickets in one place. From this single dashboard, you can prioritize and assign the tickets. It lets you set priorities based on your service level agreements (SLAs). Intelligent automations improves productivity: You can automate tasks to boost your support team’s productivity. The software offloads repetitive tasks and provides canned response to FAQs. The Dispatch’r automatically prioritizes and assigns tickets to allow the manager to focus on tracking performance. Enable collaboration between teams on support issues. Freshdesk lets agents add private notes to a ticket that are only visible to agents logged in to the support portal. These notes or comments can even be addressed to specific agents by notifying them as the recipient of the note. In case an agent needs a third party opinion, like that of an external vendor, on an issue, he can forward the ticket to the vendor right from within the helpdesk. Any replies from the external vendor will be included as private notes to the ticket thread. E-signature software helps you confirm agreement to a contract’s conditions and terms via an electronic channel. It can also be used to show the identity of the message’s creator, essentially serving the same functions as stamped seals and handwritten signatures. In today’s business environment, digital signatures are used mostly in regulatory filings and e-commerce because they are considered to be highly secure. Many countries give the same legal importance and significance to e-signatures as they do to traditional ways of executing documents. SignNow helps businesses accelerate processes that involve the signing and filling up of paper forms. It enables you to sign documents and request for documents to be signed by other parties while maintaining industry compliance. With SignNow, static processes like creating, printing, sending, or faxing documents to signers so they can affix their legally binding signatures are virtually eliminated. It saves you time and costs involving paper-based document and workflows. The digital signature solution streamlines processes by allowing concerned individuals to affix their signatures electronically on documents with the device they have available with them, whether desktops, laptops, smartphones, or tablets. SignNow can be implemented across the entire organization and is built to work for any industry, making it a top e-signature software of choice for many international brands and Fortune 500 companies. It integrates with over two dozen productivity apps and online services as well as with the full suite of Google tools. It also works with several document management apps for iOS and Android devices. You can check the solution closely when you sign up for a SignNow free trial here. Send. Upload any document and mark who needs to sign and where using a simple drag-and-drop interface. Sign. Signers receive an email link and can sign from their computer, tablet or cell phone. It’s easier to use than paper. Manage. SignNow routes documents to the appropriate people, ensures all signatures are collected and notifies you when the document is complete. HubSpot CMS helps you build a powerful website that’s optimized for every device, personalized for every visitor using data from HubSpot CRM, and integrated with all your marketing tools—right out of the box. HubSpot CMS provides hosting of your content with one integrated platform. You can create and edit blog posts, landing pages, site pages, and emails with ease, whether you choose from one of its pre-built templates or start from scratch. The whole setup is backed by a world-class content delivery network to serve your content all across the globe in the fastest way possible. You can manage, optimize, and track the performance of your content with the same platform you used to create it. You can learn more about this program in this HubSpot CMS review. If you want to know more about the features you can easily sign up for a HubSpot free trial here. Optimize your content for search, mobile, and conversions. Responsive design means your content is automatically optimized for every device, be it desktop or mobile. With SSL built in, you’ll secure your website with a safe browsing experience for your visitors and benefit from better search rankings..
Personalize your website content for every visitor. Personalized content means a better user experience, and a better performing website. Dynamically tailor your content to individual visitors based on location, source, device, language, or by any detail stored in your HubSpot CRM, from demographic information to contacts’ interactions with your brand. Simplicity and Flexibility. Drag and drop your way to a responsive, SEO-friendly, and fully integrated website. Save your best designs as templates to launch pages even faster. Ecommerce software helps you manage all aspects of an online store including adding or removing products, managing inventory, calculating taxes and other details needed to fulfill orders for a website. It typically sports a user-friendly interface that can be handled easily even by lay users to manage the intricate process of their ecommerce operation. Despite its ease of use, the solution is in fact complex and multifaceted. You can integrate the system with other services such as 3PL, ERP, and accounting software as well as with social media networks to automate sharing of data. Shopify enables businesses to build and operate online stores as well as sell products in person. It provides tools specifically designed for offline retail. Shopify is the first ecommerce software that recognized the need to address abandoned shopping carts. It’s solution is straightforward: review your abandoned checkouts and choose between manually emailing a customer a link to the abandoned checkout and fully automating the process, the customers receiving emails with links to their abandoned carts and providing them the opportunity to complete the checkout as they choose. Shopify provides tools ranging from designing professional-looking storefronts, powerful marketing and promotional tools, multiple, secure payment options, and world-class shipping and order-tracking tools. It gives you powerful reporting and analytics tools, integration capabilities, and superb customer support. You can check the solution closely when you sign up for a Shopify free trial here. Brand and customize your online store. Every template comes with its own intuitive settings so you can quickly and easily customize every facet of your storefront.  Web-based website builder. Host your entire website on Shopify. Your online store comes with a full-featured content management system. 100 payment gateways. From bitcoin to PayPal to iDEAL, Shopify integrates with over 100 external payment gateways from around the world, making ecommerce a total breeze for your business. Knowledge management software captures and stores all your organization’s information and makes it easily accessible to your staff members anytime, anywhere. The solution offers an information hub where you can create, organize, and distribute content via search tools and other functionality that enable users to find answers easily and quickly. Knowledge management software stores data such as stakeholder feedback, comments, database records, videos, images, and documents. It streamlines the centralization, reporting, and sharing of business info. In short, KM systems provide a company a unified pool of info that is easily accessible, discoverable, and updated. When people require information, most likely they mean fast access to accurate information to spare them the time for other pressing matters on their hands. Hence a rich, broad knowledge base is an absolute necessity. As a self-serving, centralized repository of information about a product, service, department or topic, a knowledge base is one of the most accessible and most affordable ways to keep customers happy. It contains data that could come in from multiple sources but more often through contributors well versed in a particular subject (HR, Legal, etc.). It could include FAQs, troubleshooting guides and other basic and in-depth details that one might need to know and is available 24 hours a day, seven days a week. It is an ideal way to handle interactions that are voluminous but at the same time simple. For your small business, a knowledge base is a great way to separate yourself from the pack. It’s also a foolproof route to prepare your business for big things ahead, starting your company on a footing that ensures it remains nimble, able to deliver faster services and offer regular updates, ultimately delivering a better customer experience. A compelling way to place your business amid the information-rich world we all live in. ProProfs KnowledgeBase is a powerful online knowledge management solution designed to enable any business size to effectively manage and dispense employee and organizational knowledge. ProProfs knowledge base is ideal for businesses in search of an effective platform that maximizes its organization’s collective knowledge and experience as well as enhance accessibility to customer service and FAQs. The software is built with a highly searchable and centralized knowledge base compatible with all kinds of files and documents and can be deployed on multiple devices and platforms. Irresistible Forever Free plan. Nothing dispenses the notion that knowledge base is only for corporate goliaths like a Forever Free plan that empowers even the smallest businesses to engage an application that could help their businesses in many ways as they forge ahead for growth and expansion. Quick resolution. Your customers don’t want to wait on hold on chat, on the phone, or for customer support ticket to be processed. ProProfs Knowledge Base empowers both customer or your worker to research and find the information needed—fast. It keeps customers happy and away from clogging up your support and service departments with repeated requests that could be adequately documented online. Improve collaboration for greater productivity. People are often scared or intimidated to admit that they don’t know the answer to something. Rather than speak up and ask a question, they often try to pass it off as they know what they’re doing or saying—even if it negatively affects the business. This is where a knowledge base can help. People can go to the knowledge base anytime, anywhere to learn answers to their questions without the fear of being judged. Learning Management System tools are designed to enable and facilitate education via Internet, i.e. deliberately designed and network-enabled transfer applications for web-based learning. LMSs are intended for educational institutions and corporations that train large and decentralized teams, and offer training and workshop courses, evaluation metrics, and skill gap analytics. Think of Litmos LMS as a corporate training LMS that automates and streamlines your learning program by unifying virtual, classroom, social, mobile and ecommerce in a secure platform. To support these capabilities, Litmos LMS established quick cloud deployment, an intuitive UI and array of integrations for extensible functionalities. All of these suit small business and enterprise requirements for employee training, customer orientation or industry and professional regulatory compliance. As a training platform, Litmos LMS for small business helps you manage global training operations via schedules, pricing, resources, taxation and task assignment. With automation and optimization you can scale the operation easily as your organization expands, with tools for certification, learning passes, prepaid agreements and expense management. The solution also integrates with your existing learning management architecture so you need not shift from one system to another. Litmos LMS is designed to be virtually intuitive for a beginner to easily understand and generate useful results from the get-go, and supple enough to develop familiarity with its more advanced features. The novice user will like how Litmos LMS easily allows building content that is engaging and easy to grasp for the target learners, making available real-life scenarios for audio and video materials 24/7. Going forward, the user could make the most of content for various industry regulations and requirements, say in IT, HR, and nonprofit. An appealing test drive of all software features is available to you when you sign up for a Litmos LMS free trial here. Keep a close eye on performance. Using the system’s pie charts, you can evaluate user activity or pull out specific course data, or compare the performance of your teams and their achievement for different courses. You can determine the time range for your report, or schedule status lists for a desired period. All reports and summaries can be displayed as charts or tables, and be easily exported as CSV and PDF files. SCORM certification. Unlike other LMS service providers, Litmos LMS is a SCORM-certified system that keeps data safe and secure, and makes it accessible from all devices and locations. This means that you can distribute courses and teach online even when working with large and remote teams of learners. Eliminate assignment problems. Litmos LMS makes it easy to categorize learners, organize courses and training programs, and assign them to groups, teams, departments, or selected individuals. This makes Litmos LMS an ideal product for small, midmarket, and large corporate environments. Users will also find it easy to schedule, hold, and track live training sessions (LTS), and integrate this system with all of the other business applications they are using. Live chat software can be used by companies to offer instant assistance to their website visitors and customers. Top live chat solutions offer text chat, video, help desk, voice, and CRM features. Chats can be categorized into two main types: pro-active chat in which the website visitor is greeted with a pop-up box they can use to chat with an agent, and broadcast where the visitor can initiate the chat. Companies should look for live chat software that integrates seamlessly with their existing ecommerce, help desk, and CRM systems. The platform should also offer useful features such as capability to share discussions, preference settings for chat windows and reminders, and archive and reporting tools. Live chat provides a timely alternative to mail and telephone when you are dealing with customer queries and complaints. It gives you customer information, history of conversations, geolocations, language information, brand specifics that you could easily tailor and personalize for each client at the other terminal, other essential and critical content that you could have in real time—features that you cannot have with mail and telephone. It’s really an interesting time to do business. Beyond a means for communication, live chat can help you generate leads. You can learn more about this creative strategy through resources like this one on live chat for marketing, all compiled by some of the best experts of the industry. Freshchat is a modern messaging software that enables companies to turn website visitors to become leads, provide essential information about users to engage them better and meet their queries and concerns, leading them to become happy, engaged customers who stays with your brand for a long time. Freshchat provides you with a variety of channels to talk to your customers, including your own website, in-product, mobile app, and social media profile. You can set up in-app campaigns to onboard and educate new users, retain lapsing customers, and share interesting insights and announcements to keep them in the loop with recent developments. Basically, you will manage to respond to all customers’ needs from the comfort of a single, moderately priced platform. Freshchat not only will enable contact on several platforms, but it will also let you categorize messages and conversations into custom groups. This way, you will always build realistic expectations from every discussion, and hand each customer over to the right agent or team. You can contact and accumulate data from as many customers as you want, and maintain a priority inbox for those who are most likely to buy. You can use all the features for free for a period of time to see if the software matches your needs. Simply sign up for a Freshchat free trial here. Provide a streamlined messaging experience. Freshchat will not only enable contact on several platforms, but also let you categorize messages and conversations into custom groups. This way, you will always build realistic expectations from every discussion, and hand each customer over to the right agent or team. You can contact and accumulate data from as many customers as you want, and maintain a priority inbox for those that are most likely to buy. Automated lead capture. Freshchat has many alternative ways to expose your brand and your products, next to helping you build a professional customer service hub. In particular, it will record events to let you see who is visiting your website and for which purpose (visiting a page, downloading a report, looking for a product, etc), and then segment leads and customers based on geography, event history, or product usage. Vital intelligence. Freshchat’s real-time dashboard showcases a visual summary of how your teams are performing, and let you measure speed of response, conversation trends, resolution time, and deep dive into any team member’s workload. You can also calculate customer satisfaction scores and CSAT ratings to pinpoint and reward the best performers in your team. Office software simplifies business document processes and tasks and enhances their productivity. Office software is also known as office productivity software and office application suite. A typical office software suite consists of applications like a word processor, spreadsheet, email, presentation, database, collaboration, note taking and other related software. You can install each application in the suite separately and all applications in the suite are normally interoperable with each other. Perhaps office application hardly needs introductions. Next to a computer operating system, an office software is virtually given for anyone wishing to interact with the rest of the world, whether personally or professionally. In the case of Google, what started out as Gmail beta in 2004, Google Apps in 2008 and G Suite Basic or G Suite Business in 2016 is today the leading productivity suite in the world, incorporating cloud computing and extensive collaboration tools. It provides applications in basic or enterprise configuration, including Gmail, Hangouts, Calendar and Google+ for communication, Docs, Sheets, Slides, Forms and Sites for collaboration, Drive for storage, a digital whiteboard called Jamboard and Vault and Admin panel for specific plans. Massively powerful data centers behind all these applications allow instantaneous saving and synchronization of data and information anywhere in the world. G Suite Business users enjoy ad-free applications, and their account data and information are exempted from advertisement purposes. On January 2017 alone, G Suite entered a milestone reaching 3 million paying customers, along with 70 million G Suite for Education users. Truly Comprehensive Suite of Office Solutions. With other application packages, the first thing to come to your mind is whether they would be able to cover your most essential software need, either in such thing as word processing, email, or storage. With G Suite, the question go the other way: is there anything at all that the suite cannot handle? Third-party integration, scalability, future-proof roadmap. Google does not stop at creating a superbly comprehensive suite of office solutions, it also makes sure it could hook with all third-party applications out there—or make that third-party applications could not afford not to feature integration with G Suite. Whatever the case, it is all for the benefit of the user to be able to cherry-pick add-ons as they move along projects. And with a company that surely knows the cost of not looking forward, you know you will always get the best new features in every upcoming upgrade—though of course nobody is safe from bugs: not even Google. A payment gateway is a software application that functions as a channel between an e-commerce vendor’s website and the bank that processes a buyer’s credit card payment. A payment gateway can also process payments using methods such as debit cards and eCheck (ACH) payments. The main work of the payment gateway is to securely transmit the buyer’s sensitive credit/debit card and bank account data to the issuing bank and other entities involved in the transaction. Payment gateways send transaction data to acquiring banks and get replies from issuing banks about whether a transaction is accepted or declined. In short, payment gateways assist in effective communication between banks. With a staggering $2 trillion of ecommerce going around, it’s beyond essential for any business small or large to get in on the act. The ease of creating online shopping platforms and web stores, the onset of cloud technology, the integration of systems and apps that tie processes together, the proliferation of fulfillment services that enable speedy delivery, and a host of many other things make it all possible. One of the important drivers in the growth of ecommerce is the convenience and reliability of paying online through credit cards or non-cash transactions. Leading the pack is Stripe, an online payment processing software designed for internet businesses to accept payments and manage transactions online. It provides a complete toolkit for businesses operating on the web, whether as an e-commerce store, a crowdfunding platform, a subscription service, or an on-demand marketplace. At its core, it is a robust payments engine that streamlines the movement of money in your business while connecting with applications that enable you to prevent frauds, manage revenue, and drive global business growth. Stripe offers various products that address crucial stages of your payment processes. The fully integrated global payments platform offers an all-in-one solution to cover your payment of accepting, processing, settling and reconciling, and managing payments. Some features that cover this include customer interfaces, payment options, fraud and disputes, revenue optimization, and business operations, among others. The vendor offers a quick on-boarding to get you up to speed with the features. You can sign up for the Stripe account here. Multiple payment options. As Stripe offers a variety of options, you can support the payment gateway preferred by your customer. Go global by processing payments for all major credit and debit cards in every country. Digital wallets such as Alipay, Amex Express Checkout, and Apple Pay are available for customers who want a convenient way to pay without sharing their card information. It also supports local payment methods, customer’s preferred currencies, and local Stripe accounts. Secured payment processing. When it comes to revenue optimization, Stripe optimizes routing paths through direct integrations with card networks like Visa, MasterCard, and American Express. This pre-processing layer reduces transaction latency and improves success rates. It also adds an additional layer of authentication to avoid fraud risks and chargebacks. Dispute handling is automated as well to efficiently submit evidence in case of conflicts. Restaurant management software helps business owners manage their food service joints. Some solutions like point of sale (POS) systems have features related to customer interactions, but more often this type of software focuses on behind-the-scenes processes such as accounting, inventory management, and employee scheduling. Restaurant management software enables restaurant owners and managers to organize back office operations. These apps keep track of orders, payroll, inventory, and analytics. You use these products to compare business practices at multiple locations, simplify the on-boarding process for new employees, and monitor employee effectiveness. Toast POS is arguably the best known brand in the restaurant industry. It simplifies your restaurant operations by combining POS, front of house, back of house, and guest-facing technology on a single platform. Aside from the core POS function, the platform offers myriad extra functionalities like reporting, credit card processing, CRM, gift and loyalty, online ordering and labor and inventory. For menu management functionalities, it provides time-specific menu pricing such as happy hour menu, customizes menus separately for offline and online audiences, and sets up the entire menu including all groups and sub-groups. A restaurant ordering feature enables users to split menu items and bills among customers, sends automatic alerts to the server when the order is ready and provides the capability to take orders on the fly. Payments are simplified both for restaurant owners and their clients, with a feature called pay at the table, printing receipts or emailing them and and tipping servers directly from the tablets. Plus, customers can convert payments into loyalty points that they can redeem on subsequent visits. It monitors restaurant sales, labor costs, food costs, and more in real time, at home, and on the go with powerful reporting capabilities. You can easily sign up for a Toast POS free demo here and get to know the features firsthand at no cost and without commitment. All-In-One System Built for Restaurants. Toast is a customizable point of sale and management system built for restaurants, which simplifies your business by integrating online ordering, digital and physical gift cards, and built-in tools to manage your staff. Improve Operational Efficiency and Guest Experience. Save time and improve the guest experience with the ability to fire orders and process payments directly from the table or from self-serve Toast Kiosks. Toast’s handheld tablets automatically prompt customers with suggested tip options, and guests have the option to receive print, email, or text message receipts, but not before having the option to join your restaurant loyalty program. With Toast Kiosks, customers can place digital orders, enhancing throughout, speed of service, and order accuracy at your restaurant. Monitor Your Restaurant in Real-Time, Anytime, Anywhere. With Toast, you have remote access to real-time reports so you can monitor your business from any internet-enabled device. Need to make a menu change? Toast allows quick and easy menu updates across all devices. With enhanced security and end-to-end encryption, you can rest easy knowing that your data is secure. A POS software or POS system combines hardware and software to centralize your retail or restaurant operations. The hardware involved typically includes a computer, cash register, or even a tablet device to input the products, determine the cost, and finally, to close the sale. Most POS solutions can track inventory levels to ensure there are enough products in stock. Smaller shops go for cloud-based POS applications for their low investment resources footprint. Vend is a beautifully designed, responsive point of sale system that makes it fast and easy to sell to your customers and keep them coming back to your store. It works on Windows 10, Windows 7 and Windows XP, iPad, Mac or PC, works online and offline, and connects to all the latest hardware – barcode scanners, receipt printers, cash drawers. Vend makes it easy to connect your brick-and-mortar store to the ecommerce you love. You can connect your online store with Vend in minutes, and manage all your inventory and customer profiles from one place. It allows you to sync all your products in a click, fulfills orders easily, and bring all your business operations into Vend, which gives you a global view. True cross platform: Web-Based or iPad POS. Vend works on any Windows operating system, iPad, Mac and syncs in the cloud so you can use one platform or all three. Vend Works Offline. Continue selling even when the internet goes down, Vend will automatically resync your sales when you’re back online. Robust Reporting. Create reports that can be customized, giving visibility into stores, product and staff performance. Critical metrics can be viewed from mobile phones while inventory reports provide views of inventory and stock data. Communications software makes it possible for team members to exchange data and discuss business operations in real time. You can use it to transmit information from one system to another, exchange files in various formats, or simply discuss sensitive corporate data in a protected, internal environment. Popular communication software types are messaging apps, live chat systems, FTPs (file transfer protocols), VoIP, and email providers which make it possible to communicate at low to no cost. RingCentral is an award-winning cloud-based phone system that lets you conduct voice communications, online meetings, business conferences that saves you the costs that come with a physical communication setup involving hardware, software, maintenance, training, space, operators, among others. It works just as good offsite as you do onsite with its strong mobile support for both Android and iOS, keeping your remote team connected and organized and allowing them to send and receive HD calls, faxes, SMSs, attend conferences, and receive notifications regardless of your current whereabouts. The solutions also allows you to administer your business processes. Setting up RingCentral takes just minutes: simply register for an account, configure the settings, and you instantly have a phone system running through the Internet. You get standard PBX features, plus extra functionalities such as call management, online meetings, app integration, data security and mobile extensions. Once you receive a phone number in your email, you can log into the RingCentral website to create extensions, enable an auto call attendant, set call queues, organize call groups, and configure rules for voice mail, call routing/blocking, and call forwarding. In short, you can do in a day on RingCentral what takes a week on traditional PBX systems. If you want to investigate the features closely you can easily do so when you sign up for a RingCenral free trial here. Advanced PBX sans the complicated setup. Decades of strong RingCentral R&D gives you a powerful PBX system that your non-technical administrators and users will get around in less time than they normally would with traditional PBX systems. You don’t need to install any hardware or do any technical configurations. The most complicated task is not about the software: it is about developing your call management rules for company-wide settings and individual extensions. Unparalleled communications. RingCentral allows you to set up multi-level call-flow configurations, dial employees and reach local lines, link direct numbers to trunk lines to access external parties, and so on. As much as 250 voice menus are available for each account, which is more than enough for identifying issues and misconfigurations. In case of emergencies and poor, even completely lost, Internet connection, RingCentral switches you over to cellular voice and data networks so you can proceed with business operations without crucial interruptions. Friendly on your budget. Sparing you the need for extensive hardware installations or maintenance, as well as the purchase of expensive licenses for functions you won’t even use, RingCentral cuts your operational costs right away. Most functions are unlimited and won’t charge extra upon exceeding. International customers report saving as much as 30% on oversea calls and teleconferencing expenses. Payroll software is offered by HR technology vendors, but it can also be part of an ERP system. It is used to perform a lot of tasks, such as calculating employees’ salaries, cutting deductions, depositing the salary directly into staff members’ bank accounts, producing tax forms and payslips and more. The app helps reduce manual errors as well as cycle times. Setting up this software and getting started with it will also be very easy. Moreover, payroll management software offers benefits such as secure financial transactions, efficient handling of employee data, and getting detailed reports on staff payroll. You can learn more about this software by reading about popular systems in this category. Gusto offers extensive payroll capabilities along with benefits administration, HR and compliance functionalities in a single, simplified package. In particular, it provides payroll, 401(k), and workers’ comp insurance nationwide. Health benefits are available in 17 states, with more coming: Arizona, California, Colorado, Florida, Georgia, Illinois, Massachusetts, Maryland, Michigan, New Jersey, New York, Ohio, Oregon, Pennsylvania, Texas, Virginia and Washington. The platform can automate the calculation, payment, and submission of a company’s local, state and federal payroll taxes. It ensures that businesses can pay through direct deposit or check, automate calculations, year-end forms, and taxation to avoid critical errors, and save even more time handling bookkeeping on its own. If you want to investigate the features closely you can easily do so when you sign up for a Gusto free trial here. It saves you time. Gusto takes over time off calculations, ACA compliance, year-end forms, payroll taxes, and even adopts unique workflow calculations. In this way, all important data is synchronized in a single system, and the user can focus on more important activities. Make your payroll management virtually error-proof. Gusto will not only minimize critical human errors, but eliminate those completely. Now that you won’t have to enter data in several different apps and websites, you will take things easy, and let the system calculate deductions without you being involved at all. Gusto acts as a personalized employee database, where you can store important information, and access it any time and from any device. Full payroll automation for your small business. Gusto requires a mere single entry of your team’s data, where you get enough flexibility to decide how your employees are paid and how their pay stubs, tax filings, and W-2s ought to be handled. Your employees will also be able to add date themselves, and download information that is important to them even after they leave the company. The system will also automate all local, state, and federal taxes in validated forms that can be used for all purposes. Digital asset management—DAM to industry insiders—allows you to organize, store, retrieve and manage rich media that are encoded in digital format and defined through metadata. These include music, photos, videos, animations, design files, illustrations, audio files, podcasts, documents, presentations, ebooks and other such multimedia content. DAM allows you to control, optimize, access and share these digital assets as part of your business processes or to facilitate your business operations. Leading this category of software is Asset Bank, a robust solution that gives you complete control over your assets with ease, powerful features, and numerous configuration options to match your small business needs. This competitively priced solution is available for deployment in the cloud and on-premise, giving you a flexible option on your preferred implementation model. Its Metadata feature enables you to monitor your digital files by incorporating descriptive definitions of the digital asset, such as its model release forms, star ratings, reviews, and keywords. The User Permission feature allows managers and administrators to give the staff permission for activities such as uploading, downloading, and editing digital assets. Asset Bank saves you time and simplifies the complexity of keeping your digital files under control as your organization grows. It’s packed with features to give your team a centralized location of all your digital assets to maximize their value. Asset organization and search. Describe your data with more flexibility to give a detailed description of your assets’ attributes or metadata. Add fields such as title, description, keywords, product ID, collapsible heading, star rating, and reviews, among others. Asset Bank allows asset previews and asset versioning for a complete overview of your assets. It expedites how you find assets with features such as autocomplete search suggestions, advanced search, and search builder. Asset management. Set up flexible user permissions for different user groups to have different access to viewing, downloading, uploading, and editing assets in folders. There is also an approval workflow for users to gain approvals in performing tasks according to setup permissions. As for the storage, it is configured to your work requirement—it may be installed on your server or hosted with the platform. It has Amazon S3 storage and file systems for multiple hard disks on the server’s local hard disk, SAN, or network drive. Robust file download. Set up download presets to streamline selecting an asset and converting it to the right dimension, file format, and color space, accordingly. The Advanced Download feature lets you download the original file and customize according to your needs before downloading by choosing the format, selecting a crop area, resizing, modifying the quality, and rotating the file. Social media management software (SMMS) lets you engage prospects and customers on social media networks. The software can be used to track inbound and outbound brand mentions, social marketing campaigns, and the effectiveness of social media presence. Leading these social media management solutions is ZOHO Social, a smart tool to help your small business grow its presence on social channels by reaching the right audience at the right time. It tracks revenue from social media marketing efforts and managing multiple social networks, monitor keywords, schedule unlimited posts and facilitates team collaboration from a single dashboard. It works great with Facebook, Twitter, Google+, LinkedIn and Instagram and can also be integrated with ZOHO CRM. Zoho Social lets you publish relevant content when the audience is most likely to see it through its prediction engine. You can use it to listen and engage with your audience in real time, and be updated about what customers are talking about your business. It has ready-made or custom reporting tools to give you insightful information that you can use to measure and improve performance. You can check the solution closely when you sign up for a Zoho Social free trial here. SmartQ/prediction engine. The SmartQ prediction engine is Zoho Social’s most prominent feature designed to allow posting for a time when followers are most likely to see the content. It also helps target Facebook posts by location and different time zones. Gives you advanced publishing. Zoho’s powerful media publishing tools work great to help businesses create compelling content and automate their publishing tasks. Posts can be published instantly or scheduled for different social networks from a single compose window, which also shows the percentage of top engagers likely to view the post at specified time. Collaborative system. Zoho Social offers a variety of collaboration features that let teams brainstorm ideas and work together to come up with better and more compelling content. Social media performance reports can also easily be shared with teams, allowing them to work together to plan their social media strategy more effectively. Employee monitoring software helps businesses to keep track of their staff members’ computer activities such as software usage, internet browsing, networking interactions, active and idle computer time, and more. Managers can use the reports generated by the software to evaluate the output and performance of employees and to plan strategies to improve their productivity. Businesses can use this platform to monitor all devices used by their employees from a central location. The software can be deployed over a business network for centralized log viewing. Companies can also utilize remote desktop software to monitor their employees. FlexiServer with its automatic employee time logging helps reduce time and effort spent by HR personnel on attendance and payroll procedures, specifically compared to computing everything manually using time sheets. It helps promote a flexible yet efficient and reliable work environment. FlexiServer can monitor the attendance of office-based, field, or work-from-home staff members as long as it is installed in their computers. This function helps ensure that attendance reports are more accurate compared to having employees manually declare the number of work hours that they have rendered. You can authorized certain personnel to review attendance data from remote locations 24/7 by simply logging into FlexiServer’s online portal. This means that HR personnel can conduct attendance and payroll tasks even if they are on field. Managers who are out of the office can also check to be updated on who are putting in the required amount of time at work. Improve productivity and efficiency. Improve the way your business operates by using reports for job-costing. Know exactly what tasks your staff is working on and which are taking the most time. See what percentages of a staff member’s time are spent in each application. Know what staff members are working on. FlexiServer gives managers the confidence they need to know that things are getting done without needing to micro-manage. Monitoring is non-invasive and respects the employees’ need for privacy, allowing them to enter private mode when necessary, while creating a paper trail that can be referenced should there be need for it. Create a flexible working environment. With FlexiServer, you can track and monitor employee hours from a remote location. Simply have work-at-home staff or other remote employees install FlexiStation to monitor the hours put in away from the office. Document management software handles documents creation, sharing, organization and archiving. A leading brand, M-Files, includes mobile optimization, version control, e-signature support, document templates, offline access, permission control and automated workflows. It comes with a search engine that efficiently finds documents based on document type, names and keywords, among others. M-Files streamlines all document-related processes to improve the productivity of your business’ way of managing files digitally. Its central electronic location makes documents and information easy to find, which saves your time so you can manage more of your company’s core operations. For businesses large or small, the information can be shared in a secure way, the same as among key stakeholders or team members. While making important business decisions, key users can find and track the information they need, and use it to fulfill the content-based requirements. You can easily sign up for a M-Files free trial here and get to know the features firsthand at no cost and without commitment. It serves as your central information repository. M-Files serves as a central storage for all documents, allowing your employees to search and find documents and identify who last edited them. All documents are organized and easily accessible, eliminating the need to remember saved locations and versions. Facilitates document sharing easily. M-Files lets your employees share docs to outside parties or with colleagues while keeping everything organized and streamlined. The solution eliminates the need to send email attachments by providing a direct link to any document that is updated all the time. Document security. M-Files protects your documents by simply checking the document out in the system while making updates. Everyone can see the changes you’ve made or even make additional edits given the right permission. Aside from this, old document versions can be preserved and reverted to as needed. Role- and metadata-based security allows the software to both restrict and enable access to specific documents, making sure that only relevant people are able to view specific files. Appointment scheduling software—also called appointment booking software and online booking software—handles all your schedule appointments and bookings. You can use it to automate scheduling tasks and arrange meetings and appointments. Top features include appointment reminders, employee and customer management, and calendar integration. Advanced solutions include payment processing, revenue processing, and mobile compatibility. Simply Book.me is an online booking system that helps businesses streamline their scheduling and booking procedures. It is accessible from mobile devices or desktop PCs, allowing clients to make booking 24/7 from literally every location. Email/ SMS reminders and confirmation notifications are automatically sent once a booking has been made, while clients also have the option to cancel their booking anytime they want. Its Classes & Membership feature gives admins full control of the booking process, and be able to provide professional and in-time service for all their clients. The booking page is customizable and can be added to your company’s webpage or Facebook fan-page. Flexible booking pages let you change color, etc. to your liking. The settings allow creating multiple services and service providers and linking service providers to all or a few services. If you want to try its features at no cost you can sign up for a Simply Book.me free trial here. Accept online bookings. It gives you your own, personalized, mobile-optimized booking website or integrate with your existing site and even Facebook page. Accept payments. Accept online payments upon booking through a range of payment processors like CardConnect, PayPal, Stripe and more. Integration and API. Booking widgets for Facebook, Wordpress and other CMS systems or use its API to build your own custom integrations. Drooms NXG Virtual Data Room. An intuitive and easy to use virtual data room solution, the platform allows users to accessibly handle their due diligence processes with ease and speed. Drooms NXG Virtual Data Room provides users with smart artificial intelligence for faster due diligence, powerful document processing for ease of access to the latest information, advanced permission settings, and more. The platform is highly secure, giving businesses peace of mind when handling their confidential documents and business processes. Inn Style. A booking management system built mainly for small property firms, hotels, inns, and other establishments. The platform comes loaded with all the essentials for managing one’s booking processes, from room reservation and guest communications to maintenance. Inn Style streamlines all organization and guest data, making it easy for users to accomplish all their responsibilities without breaking a sweat while ensuring customers have a pleasant stay in the property. The software also comes equipped with marketing and distribution functionalities to boost your property’s visibility. VirtualGlobalPhone. A business communication services provider, VirtualGlobalPhone is suitable for businesses that are looking to easily deploy a fully featured and scalable business phone system for their virtual office. It offers toll-free numbers, regular phones, business phones, and more. This provider offers its services in over 80 countries. OpSmartCM. An ITIL-driven cloud management platform built for simple and efficient tracking of multiple cloud environments, OpSmartCM makes provides users with a full view of all their cloud assets for painless management. Users can see everything they need at a glance via its Single Pane Dashboard, and with its intuitive design, businesses can greatly benefit from lower service desk costs. It features powerful automation capabilities as well to eliminate mundane tasks and greatly boost operational efficiency and productivity. Dareboost. A website performance testing and optimization solution, Dareboost enables users to improve the browsing experience for end users and boost their visibility on the web. The software slices and dices metrics to deliver clear insights on their front-end, obstacles that impede performance, and ways to further improve the user experience. Condo Control Central. This software is built to assist property managers in condominium management and communication with residents, condo owners, and board members. It features unparalleled tools for record keeping to efficiently organize all documents, residents, meetings, and other information within a unified platform. For clear communications, this software centralizes all messages on a single platform for faster resolution on requests and better relations. Users also benefit from faster information dissemination, ensuring that all important announcements reach intended audiences. You can also read our guide to 21 of the best SaaS tools for small businesses for more options on your part. This guide covers more SaaS software categories that are not covered here. Are There Any Limitations To HubSpot Free CRM?